It is fantastic to finally win another Gold award for the Wedding Photojournalism category in October in the Society of Wedding and Portrait Photographers (SWPP) monthly International awards. I’ve won several Highly Commended awards already this year but to get the Gold is what I strive for with my wedding photography competition entries and I was on a real high last night when I found out. Only 4 Golds were awarded in the Wedding Photojournalism category out of the hundreds of entries in October. This monochrome image was captured during the champagne reception at Mary & Gavin’s wedding at Ashridge House in April of this year. 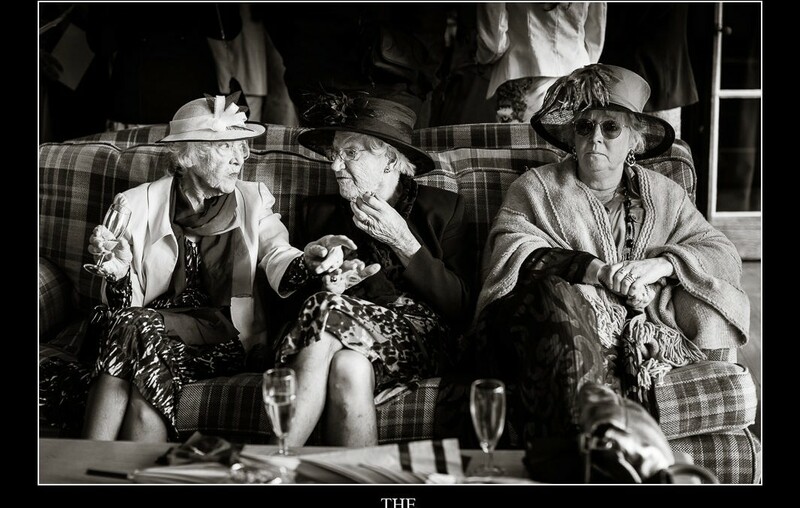 I love the fact that the two ladies on the left seem animated in conversation whilst the lady on the right sits people watching, three great but different facial expressions whilst the party goes on around them, why don’t more people wear hats at weddings!